Using APKPure App to upgrade Lords Mobile, install xapk, fast, free and save your internet data. Explore the exotic magical lands of LORDS MOBILE, which have been thrown into war and chaos by terrifying monsters, powerful warlords, and cunning enemies. Restore the balance of power in this RPG conquering game by creating the greatest castle empire ever! Recruit soldiers, heroes and warlords, forge alliances and fight for victory! Defeat your foes and conquer and expand your kingdom's territory in these battle games! Fight your way through many epic battles and establish yourself as one of the world's greatest warlords in this real-time strategy war and mobile MMORPG empire game! Explore, conquer, and clash in the arena with other players in this MMO in order to save your castle and achieve victory! 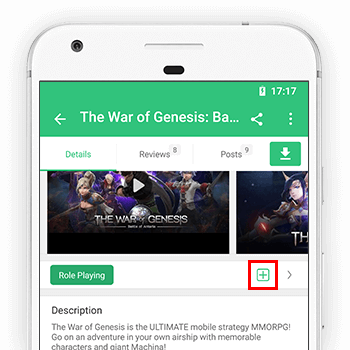 Join a guild and battle millions of players in an open world on a mobile platform! Secure your battle troops and war heroes, fight a dragon, defeat your warlords' opponents, and defend your empire's castle from destruction at any cost to achieve victory. A perfect war strategy requires an invulnerable defense! Fight and attack with your kingdom's allies and tactics, and ride into this epic multiplayer battle as a guild to crush your enemy in a mobile MMORPG! Emerge victorious in a MMO multiplayer strategy battle royale for the kingdom, and claim the throne in this empire game! Will your legacy as a conqueror and emperor be just or cruel? Recruit and upgrade your war heroes and kings with legendary skills to clash in the battle arena! Let them attack, conquer enemy kingdoms, fight for victory, and match them to complete an RPG campaign! Lead your warriors and soldiers as king-emperor in these clan wars! Choose the type of troops and survive the battle arena: infantry, cavalry, archers, siege, or a mix! Create an economic empire based on trade, treasures, and alliances with friends, or become an offensive player that attacks and conquers enemy kingdoms! Will you liberate prisoners of war? Or will your army crumble to dust? It's all about planning your battle strategy and warfare tactics! No kingdom can stand in your way in this village builder and battle game! Gather your military allies and make use of different tactics on the battlefield to achieve victory in LORDS MOBILE, a multiplayer war strategy RPG. Attack and conquer new territory, plan your battle strategy with your heroes and warlords, and build an epic empire!